Remember my "never-leaving-the-house-without-curling-my-hair" phase? I think that lasted for more than a year! You can go on forever, browsing through my blog to see my curled locks. But this time in 2014, I stopped and realized that the habit only damages my hair even more and it consumes so much of my time. 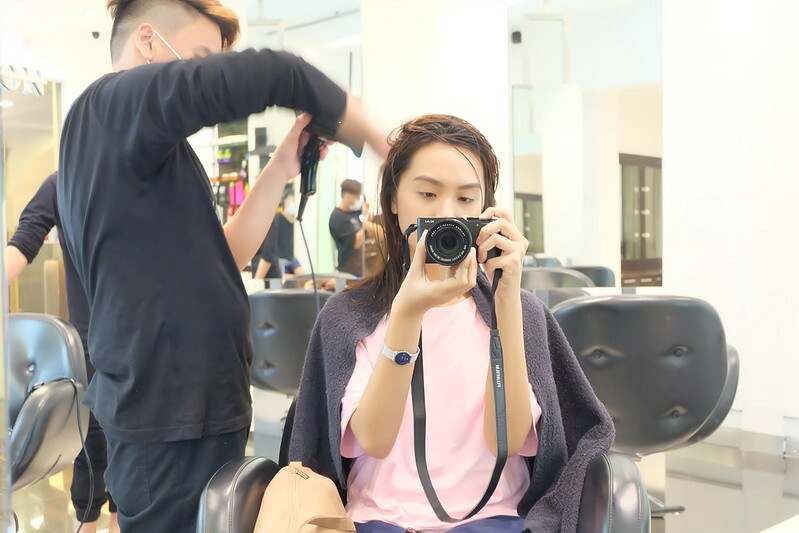 Apart from cutting my hair short, I tried a lot of treatments just to revive its healthy state. 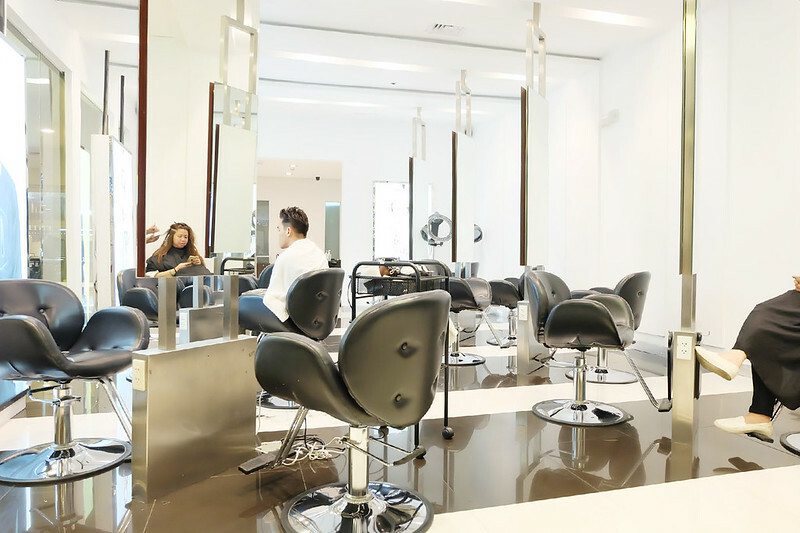 Thank heavens it did, but to retain its smoothness and glow, I took advantage of Vivere Salon's Keratin Complex offer! 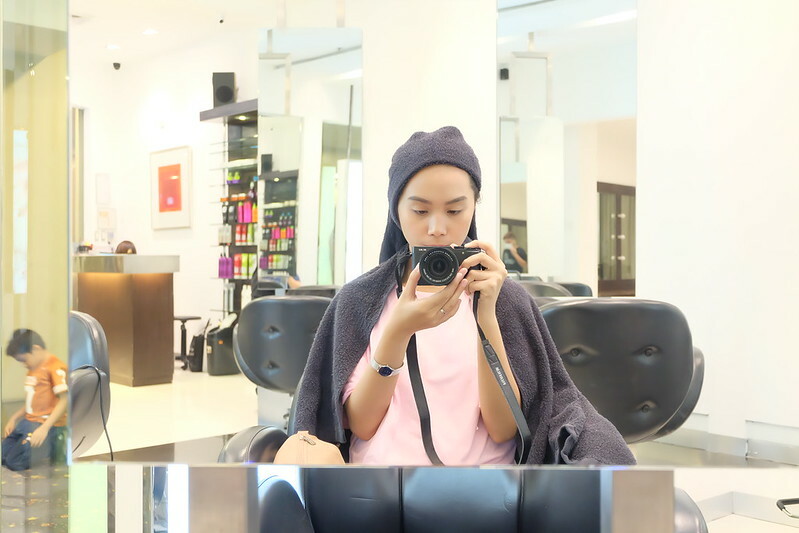 Before going to Baguio, I headed to Vivere Salon TriNoma to experience this award-winning smoothening treatment. In a nutshell, Keratin Complex promises to remove 98% of hair frizz and curls, and delivers soft, smooth and manageable hair that lasts. The whole process was pretty fast! First, my hair was shampoo-ed to clear it up from dirt and grease. 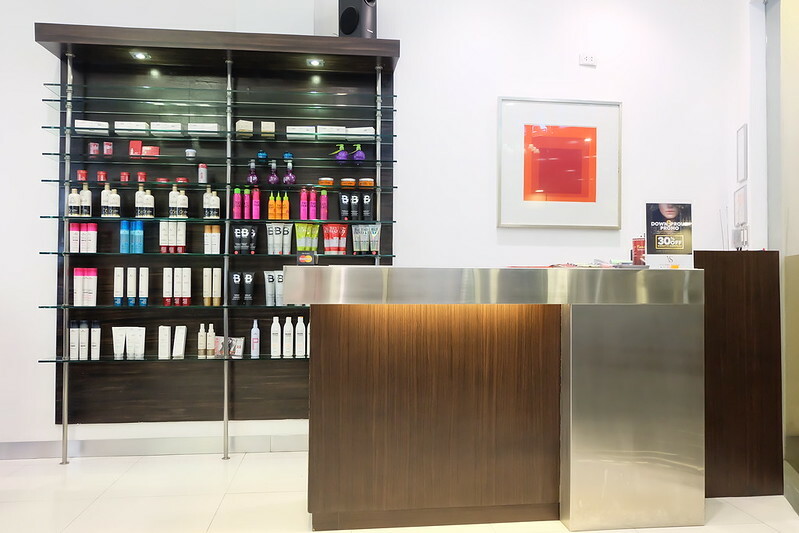 Made from natural ingredients from Brazil, the process involves a relaxing shampoo treatment to clean your strands and open the cuticle, before the stylist gently detangles it. 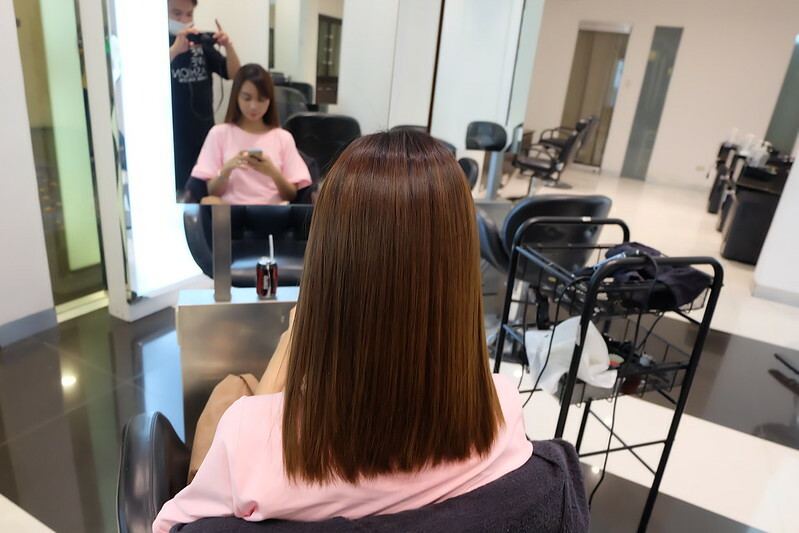 A pro smoothing formula is applied where gentle heat is present to seal it in - fusing Keratin back to my hair. 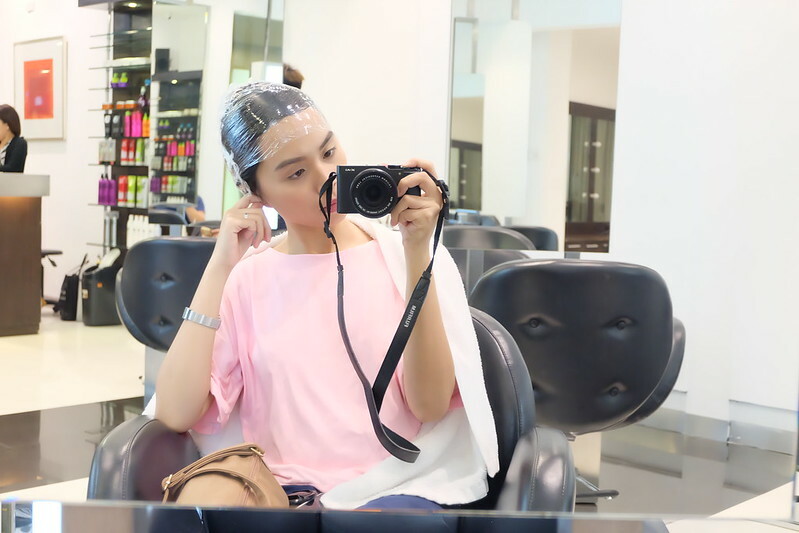 For about 20 minutes, my hair was wrapped with cellophane so it can better absorb the treatment. Blow dry + flat iron time! :) I was instructed not to wash my hair for 2 days, and only use a sulfate-free shampoo, so the keratin would last longer. Formulated with Green Keratin which is made from soy beans, corn and wheat, it combines nutrients such as protein, calcium, fiber, potassium and iron to hydrate and boost your hair and scalp's health and in turn. 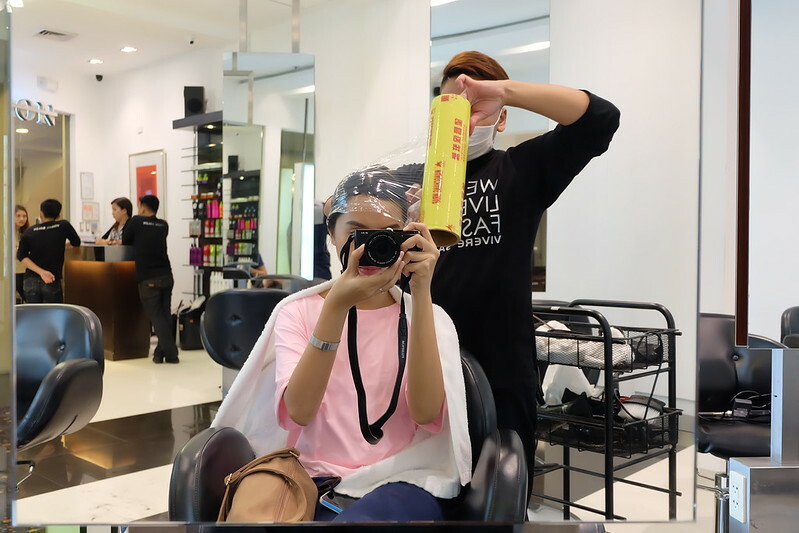 Many thanks to Vivere Salon (plus my loves Joel and Glaiza) for always having me! 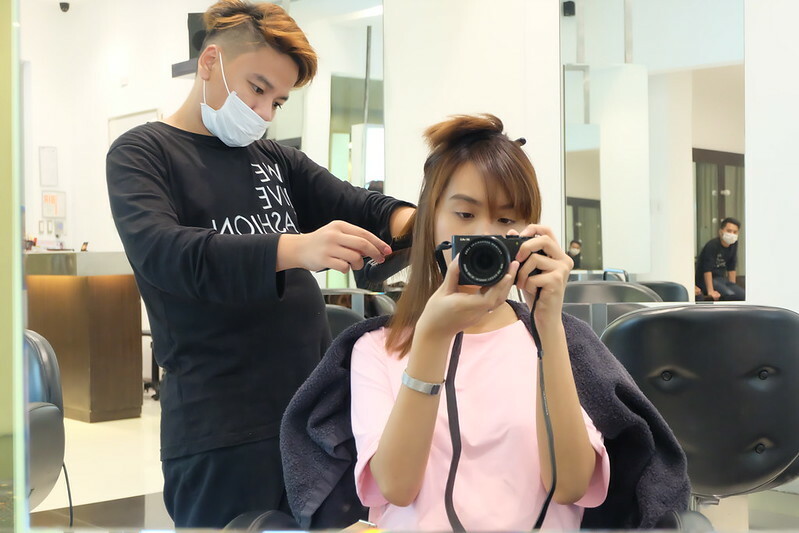 I'm more confident with my crowning glory, thanks to your services! 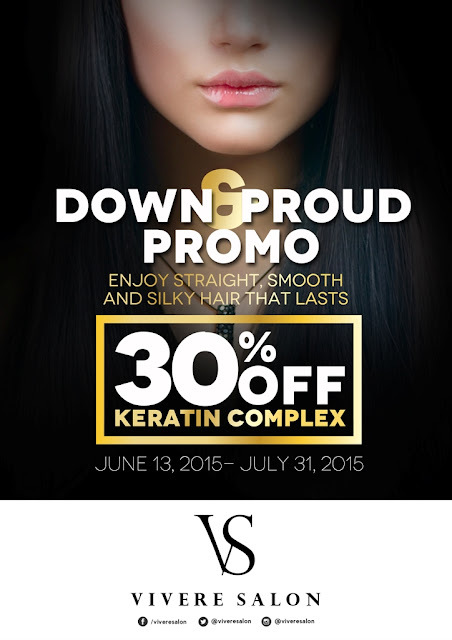 Get 30% OFF on Vivere Salon's Keratin Complext from June 13, 2015 - July 31, 2015. Enjoy straight, smooth, and silky hair that lasts!